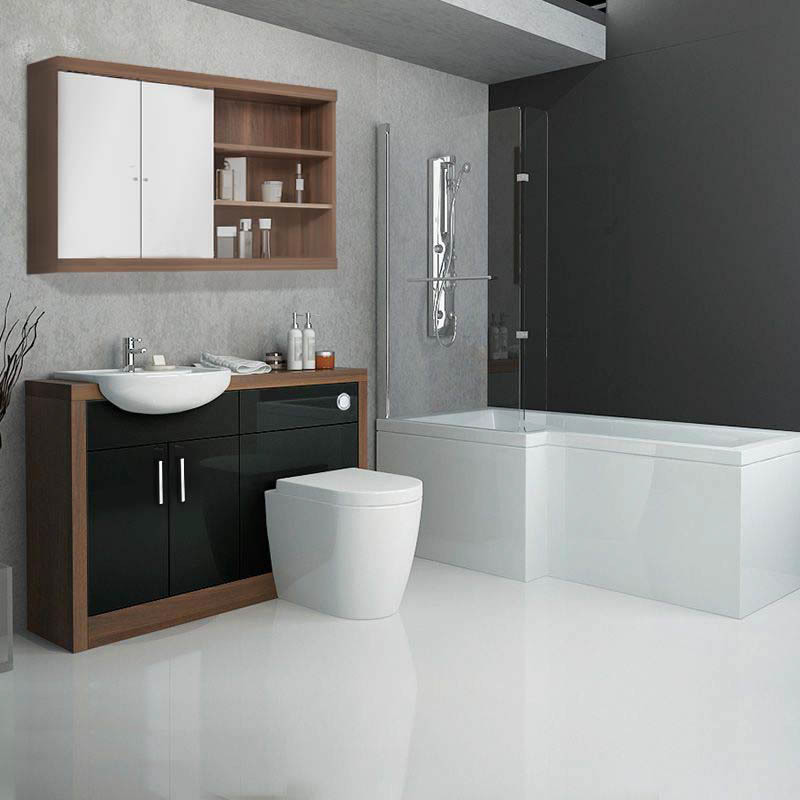 The magnificent Lucido Complete Bathroom Suite has everything you need to give your bathroom a stunning contemporary look in one convenient, great value purchase. 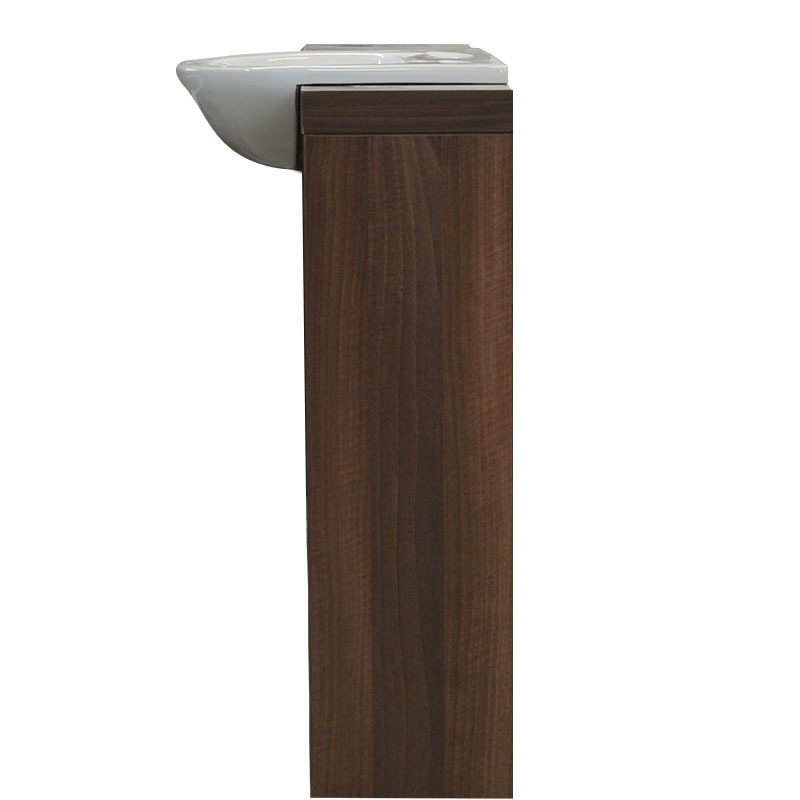 Included in this package is Bathroom City’s stunning Lucido Fitted Bathroom Furniture Set which is hand-made in our own factory and features gloss black acrylic-finished unit fronts with a walnut finished surround. This eye-catching 1200mm furniture set comprises of a WC unit with concealed cistern, back to wall pan and toilet seat plus a vanity unit with curved basin and stylish basin mixer tap. 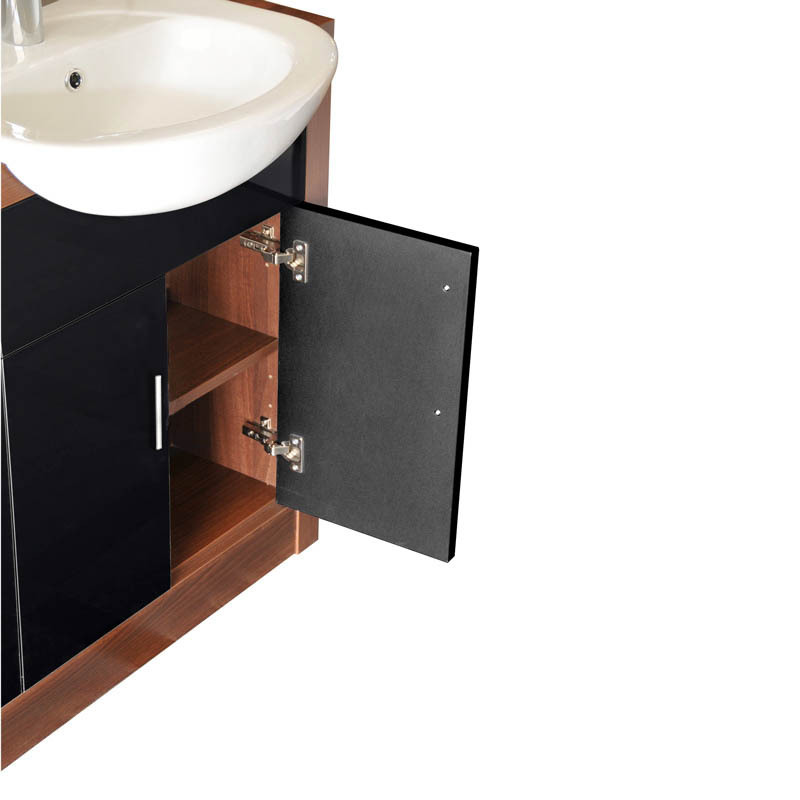 The set is supplied assembled but to give you the flexibility so you can situate the vanity and WC units on whichever side suits your bathroom layout while the reduced-depth dimensions makes excellent use of your available space. 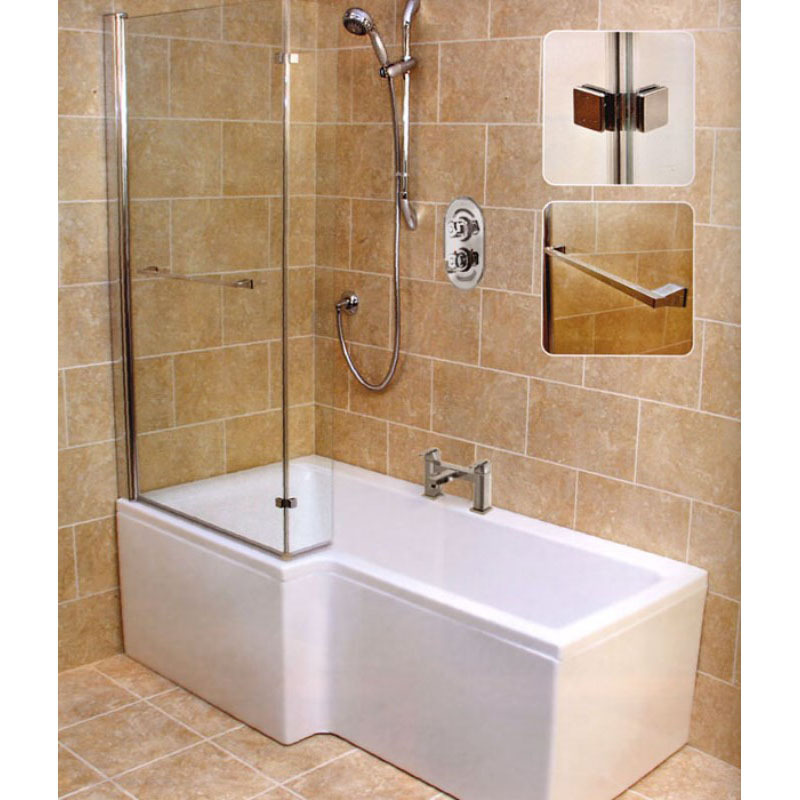 Your choice of a left or right hand L-shaped bath completes this suite and is supplied with matching side and end bath panels, bath screen and bath filler tap.